They live together and go to classes twice a week. Tender Loving Canines Assistance Dogs is a program that trains dogs to be service animals for individuals with autism as well as wounded veterans. The program is pretty similar to many others like it - except that these dogs get trained in prisons. In 2014, the organization started a program called Prisoners Overcoming Obstacles & Creating Hope (POOCH). 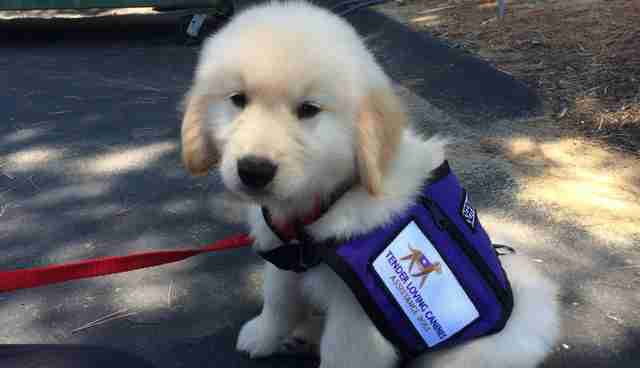 The program was developed as a way to increase the number of service dogs who could be trained and then given to those in need, but it ended up becoming so much more than that. "Prison inmates are able to dedicate the necessary time to train the dog, and the dogs also thrive on the structure that is provided to them," Victoria Cavaliere, programs director for Tender Loving Canines Assistance Dogs, told The Dodo. 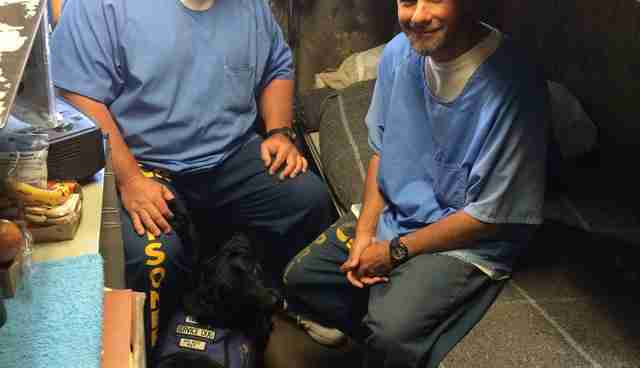 "Service dogs that are trained in prison programs have a high success rate for placement." Dogs enrolled in the POOCH program live in the prison with the inmates, and attend classes twice a week with their designated inmate handler. The dogs are also brought out of the prison twice a week for additional training and exposure to different public places. The program began its trial run at the Richard J. Donovan (RJD) Correctional Facility's firehouse in California, and when that was successful, it was moved into one of the facility's main prison yards. The program was also recently introduced at California's Mule Creek State Prison. "A total of 11 dogs so far have been placed in the prisons, with five more planned for 2016," Cavaliere said. 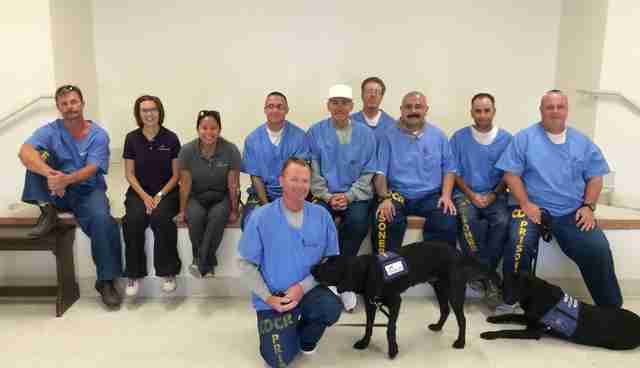 Not only is the program beneficial for the dogs, but it also helps the inmates. "The inmates are offered the opportunity for rehabilitation through the experience of training a dog," Cavaliere said. 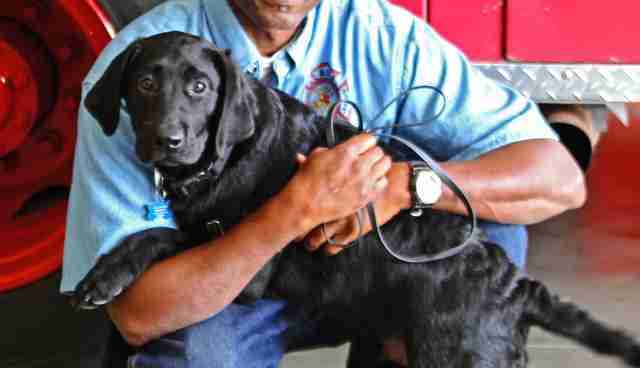 "Research shows that inmates who train dogs are less likely to reoffend. Research also concludes that dog training programs reduce the number of violent incidents on the yard." The idea behind a service dog is to improve the lives of those in need, and that's exactly what this program allows the dogs to do - for the people they are eventually placed with as well as the inmates.